Magnetic base can attach to refrigerator. Clear top allows you to view the contents. Select a sprinkle or a pour. 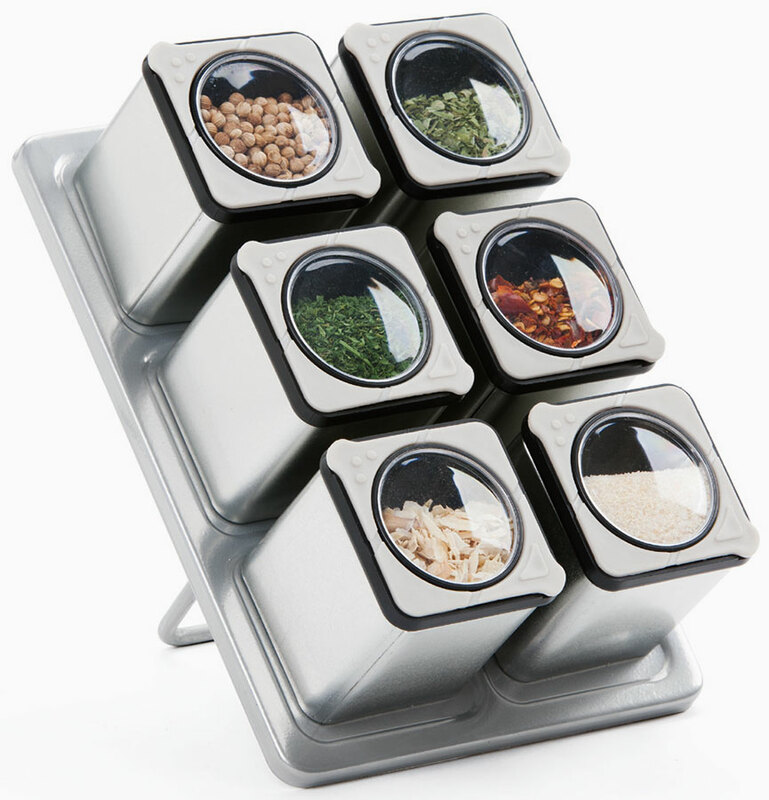 Spice rack can stand up to save counter space.